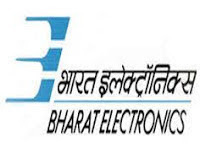 Bharat Electronics Limited - BEL published an official notification for Recruitment of Trade Apprentice for 150 posts. Eligible candidates can apply for this recruitment. You can view more details about this recruitment including No. of posts, name of post, Educational qualification, Age limit, Selection process, How to apply etc... You can also view official notification and other important facts about this recruitment e.g. Important links and Important dates. If the number of candidates is higher than the number of Vacancies indicated, then the criteria to short listing of candidates for Written Test/Interview will be based on final percentage marks obtained in ITI of candidates, as decided by selection committee.